Captured much of the essence of Berlin which remains still today- for example Nollendorfplatz- the same today. 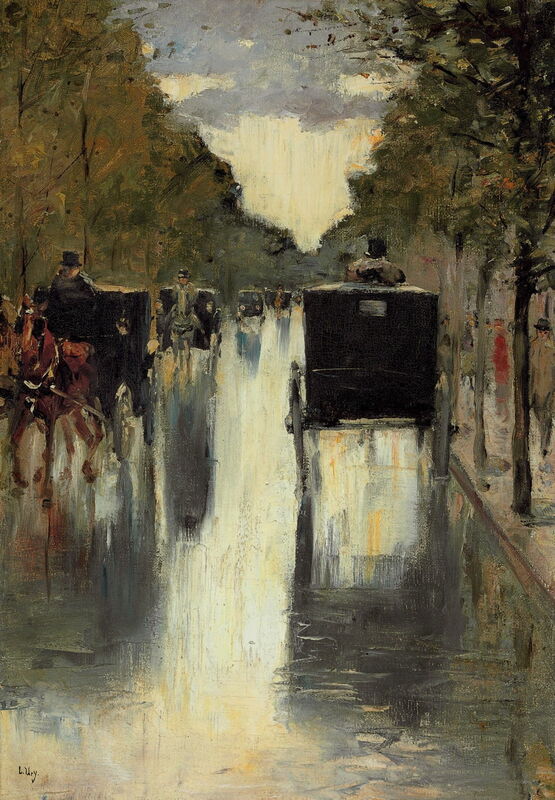 In the first of these two articles about the life and work of the German Post-Impressionist painter Lesser Ury (1861–1931), I looked at his paintings up to 1903. Lesser Ury (1861–1931), Berlin Street Scene with Horse-Drawn Cabs (1900-10), oil on canvas, 50.8 x 35.6 cm, location not known. Wikimedia Commons. Painted sometime during the first decade of the twentieth century, Ury’s Berlin Street Scene with Horse-Drawn Cabs closes in on his formula for success. Although he retains considerable detail in the trees and horse-drawn cabs, the wet road now looks like a real water surface, with its reflections perfect. The dull daylight makes it hard to simplify the image any further, though. 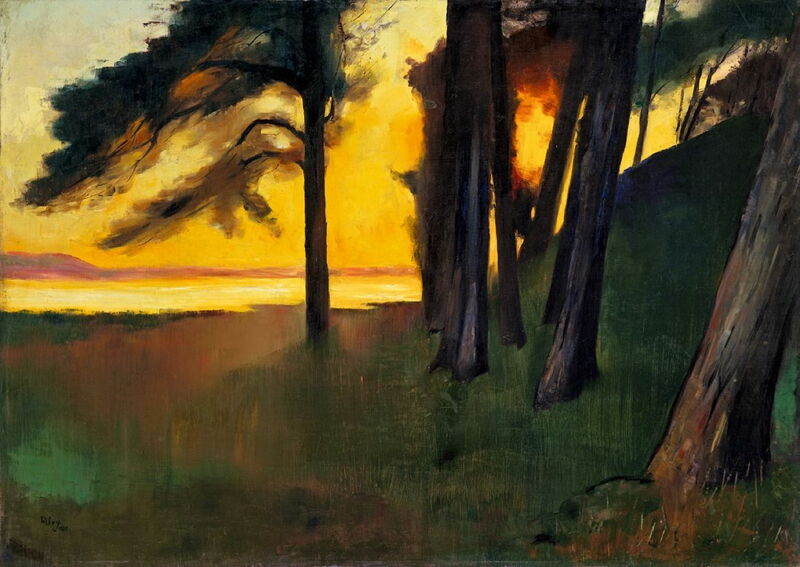 Lesser Ury (1861–1931), Evening at a Lake with a Pine Forest (Grunewaldsee?) (1909), oil on canvas, 75.5 x 106.5 cm, location not known. Wikimedia Commons. His other landscapes of this period were also becoming more distinctive and memorable.